We had the chance to review a Christmas book this month! 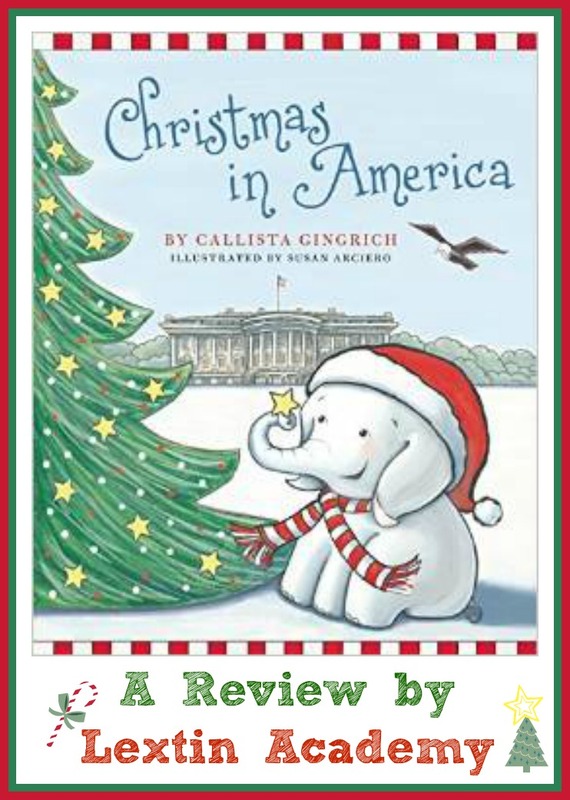 We reviewed Christmas in America by Callista Gingrich. 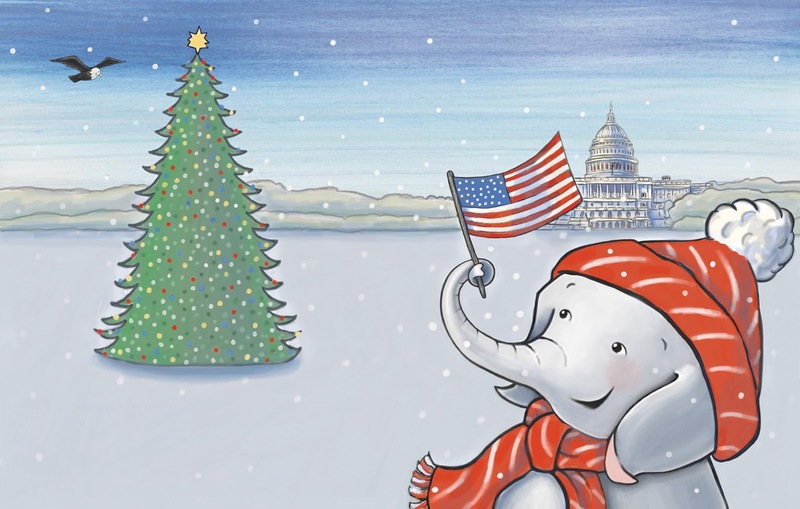 Christmas in America is the 5th book in the series of patriotic and history-themed books about Ellis the Elephant. In this book, Ellis takes you on a tour of Christmas through history. Each page highlights a different historical time period (such as the expedition of Lewis and Clark, the Civil War, and the Great Depression). With rhyming text, the book paints a picture of how Christmas was celebrated in years past, ultimately pointing to the true meaning of Christmas. The last pages of the book list resources to complement the different time periods. There is a brief overview of that time period with suggestions to visit the various cities or historical sites that are mentioned in the book. My kids absolutely loved this brightly colored picture book – from my 10-year-old down to my 3-year-old. They enjoyed the way the book flowed with the rhyming text. My older children were thrilled to recognize most of the historical figures and events mentioned in the book, such as Washington Crossing the Delaware, the pioneers on the frontier, and the scenes from the two world wars. 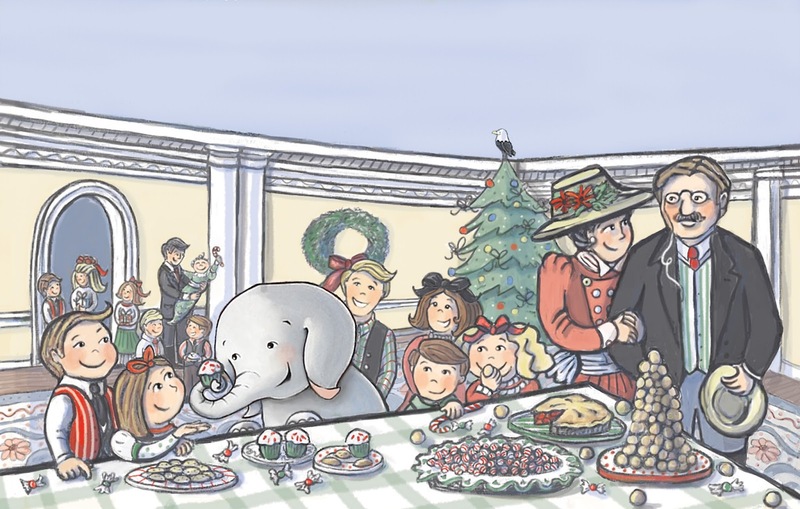 I appreciated the extra historical background provided in the resources section so I could answer their questions about the huge Christmas party thrown by Andrew Jackson or the National Christmas Tree begun by President Coolidge. This book made history approachable even for my youngest child and we all learned some new facts about the celebration of Christmas throughout the history of our country. I think we’ll have to get some more Ellis the Elephant books to add to the history section of our bookshelves! 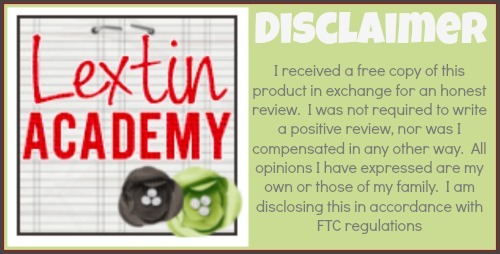 Visit the Gingrich Productions website to view the other books in the series!